THE SUGAR – Figli di Pinin Pero & co.
and we at Pinin Pero are here to guide you in choosing the right touch of sweetness best suited to any situation. What is commonly known as sugar is actually, chemically speaking, sucrose. It is a disaccharide, composed of two monosaccharides or, in other words, of two simple sugars: fructose and glucose. It is a completely natural substance. Indeed, it is obtained by simply extracting it from the plants which contain the highest amounts of it. What is commonly called sugar is actually known chemically as sucrose, but its common commercial name is sugar. Sucrose is a substance that, in biochemistry, is defined as a disaccharide, because it is composed of two monosaccharides or, in other words, of two simple sugars: fructose and glucose. These sugars, in turn, fall under the broad category of carbohydrates (CHO). These are composed of atoms of carbon, hydrogen and oxygen which, when combined with fats, proteins, vitamins and mineral salts, form the five great groups of nutritional essentials that our bodies cannot do without. Carbohydrates can be either simple or complex. Monosaccharides and disaccharides belong to the former group, while polysaccharides and starches belong to the latter. Pasta, bread and potatoes contain mostly starches, while fruits, milk and sugar contain simple carbohydrates. One thing is certain: the sugar in our diets does not come only from the sugar we use in our coffee or when we’re making a dessert, but also from the sucrose contained in many food products, from beverages to jams, and from the polysaccharides and starches in pasta and other starchy foods in general. That is why it is important not only to distinguish between sugars and sugar, but also to keep track of the overall amount of sugars we consume, as they do add up in our diets. It should be pointed out from the beginning that sugar is a completely natural substance. Indeed, it is obtained by simply extracting it from the plants which contain the highest amounts of it. Many plants contain sucrose in their sap. 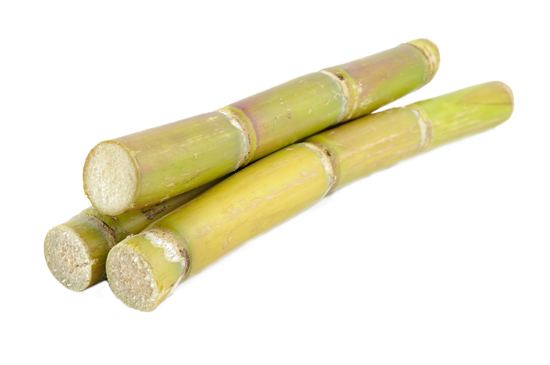 Sugar cane (Saccharum officinarum) is particularly rich in sucrose, with a content of 15/25%, as are beets (Beta vulgaris), with 10/25%. So are sweet sorghum stalks (Sorghum saccharatum), and sap from the trunk of the maple tree (Acer saccharinum), from which maple sugar is made. Sugar is the brain’s “fuel”, because it supplies it with ready-to-use energy. Glucose is the only energy source that the brain can use. In fact, it burns 100/120 grams per day, which it gets from a very wide variety of carbohydrate-rich foods, starches and sugars, including sucrose. Being rich in glucose, sucrose provides the brain with a reserve of concentrated, readily available and vitally important energy. When we are tired, tense or stressed, sugar can help. It acts on the central nervous system, increasing the release of endorphins, endogenous substances that have a pain-relieving and calming effect. This fairly recent discovery confirms and provides a scientific explanation for the sweet-cravings we feel when under stress or struggling with a large workload, whether physical or mental. A little bit of sugar dissolved in water in a baby bottle can, in general, help nursing infants feel pain less acutely. As more targeted research has confirmed, this method is highly recommended when babies have to undergo injections or other slightly painful treatments, as it stimulates endorphin production and acts as a mild analgesic. What’s more, it can calm the heart when its beat is accelerated due to pain and crying. If you don’t have any first-aid ointments available, in a pinch you can do what the ancient Egyptians did thousands of years ago and put a little sugar on the wound. Bacteria that cause infection are, in fact, destroyed by high concentrations of sugar. In the U.S., sugar in the form of a gel-like product has been used to treat bedsores, a problem from which many bedridden or paralysed people suffer. People with fevers should stick to light diets that are high in liquids. At such times, it is useful to drink water or fresh-squeezed citrus juices into which some sugar, preferably raw cane sugar, has been dissolved. A few sips can often help the organism to rehydrate and to regain depleted energy. In people with hepatitis, a little extra sugar in the diet provides the body with invaluable help in reconstructing damaged liver cells. Drinking a beverage containing sugar before bed, such as milk or sweetened herbal tea, can help ensure a good night’s sleep. This is especially true in certain seasons of the year – spring and early autumn – when we often feel a general sense of tiredness that has no apparent cause, the kind sometimes called “seasonal”. Its medical name is asthenia, and it is the same sensation we experience during prolonged periods of physical or psychological stress. At such times, a packet of sugar dissolved in a glass of water or a well-sugared cup of coffee can provide a little pick-me-up. When combating ketosis, a common childhood disorder easily recognisable from its characteristic acetone breath, a little water and sugar can be helpful. One of the most serious charges levelled against sugar is that it promotes the formation of cavities in the teeth. It is true that oral hygiene can never be recommended as highly as it should as a way to prevent cavities from occurring. However, a recent study has shown that the foods responsible for the highest number of cavities on the tooth’s surface are French fries, followed by raisins and bananas. French fries are twice as likely as sucrose to promote tooth decay. Haven’t we all heard someone tell a child with a sweet tooth, “Be careful! You’ll get diabetes!” Recent studies have shown that this threat is not very accurate, as there is no correlation between sugar intake and the onset of juvenile diabetes. The hypothesis that sugar contributes to the development of diabetes arose form the relationship that exists between diabetes and blood glucose levels. When sugar is consumed, glucose levels rise. The pancreas goes into action, secreting insulin, a hormone whose purpose is to lower the blood sugar level. If this mechanism, doubtless a delicate one, breaks down, the amount of glucose in the blood gets out of balance, which does, indeed, lead to diabetes. However, sugar is not the primary cause of diabetes. The primary cause of juvenile, or Type 1, diabetes, resides in the pancreas, when its cells are no longer able to produce insulin and thus cannot use sugars in the correct manner. There are different causes for Type 2 diabetes, which occurs in adults, the most common by far being obesity, followed by hereditary factors, a sedentary lifestyle, etc. Naturally, sugar can have a significant impact on an obese diabetic. Such individuals usually consume too much, and their intake of both sugar and carbohydrates should therefore be reduced, in accordance with a specific and balanced diet prescribed by their doctors. In the future, however, such diets will not be as drastically prohibitive as they once were, no longer precluding the pleasures of a coffee or a fruit juice that has been sweetened, although preferably with fructose. Sugar makes you fat: this is another commonly held belief that makes us think of sugar and sweets as the primary cause of obesity. The correct statement is another: an excess of calories, including in the form of sugars, promotes weight gain. As a matter of fact, it has been proven that an increase in sugar consumption is not linked to a rise in cardiovascular diseases. Moreover, it is by no means true that cases of coronary heart disease are more common in countries where more sugar is consumed. On the contrary, in recent years there has been a lower number of recorded deaths due to coronary diseases in the United States, despite an increase in sugar consumption. This means that the two are not linked and the causes for the drop in these deaths are others, for instance the decrease in numbers of smokers and in saturated fat intake. 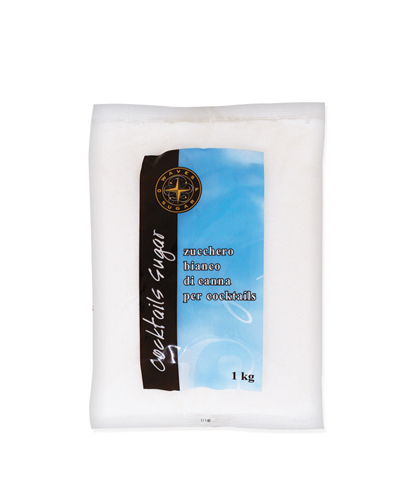 containing white sugar are numerous, from packets to packages measured in kg. Explore them all. Raw cane sugar is a natural food that has not been depleted of its essential nutrients, such as mineral salts and small amino-acid segments. Sugar cane, one of the most marvellous and efficient organisms when it comes to converting solar energy, grows and lives in lush and unspoilt tropical lands. Raw cane sugar is a natural food that has not been depleted of its essential nutrients, such as mineral salts and small amino-acid segments. Sugar has been obtained by pressing sugar cane since ancient times. Writings discovered in India dating from 300 B.C.E. 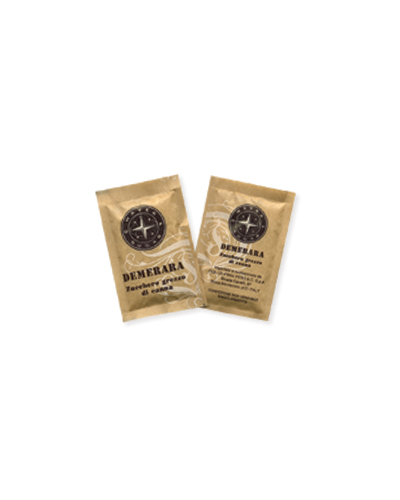 tell of a food called Sakkairia, meaning “honey without bees”. It is from this name that our modern term sucrose, meaning sugar, is derived. More recent texts (1000 C.E.) document the cultivation of sugar cane in Sicily, Cyprus, Malta and Spain, the last in the exact same part of Grenada where the only sugar cane plantation in Europe exists today. However, it was not until the discovery of the Americas or, more precisely, until 1500, that we see cane sugar appearing regularly on the tables of rich European families. In fact, before the discovery of the Americas, sugar was considered extremely precious and rare (medicinal properties were attributed to it). It is said that, in the 15th century, a cargo of 100 tons of sugar shipped from Venice (city that was home to the first sugar refineries in Europe) was sold for a sum that, in today’s terms, would be equal to 2,000,000,000 Italian lire! With the advent of colonialism, first the Spaniards, followed by the Portuguese and the British, introduced sugar cane cultivation to the West Indies, Barbados, Jamaica, Trinidad, Guiana, etc. 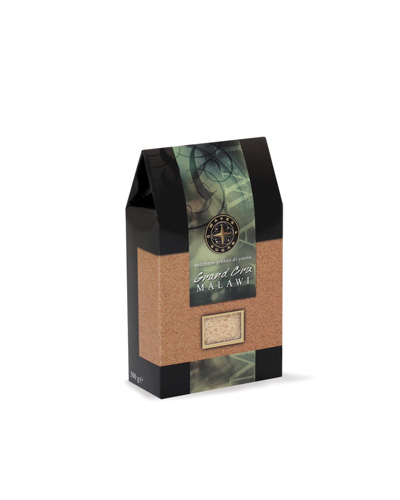 The first sugar produced in Barbados was of the Muscovado variety, dark and moist, with a very strong flavour. Sugar processing techniques subsequently evolved, resulting in drier raw sugars with a milder flavour. 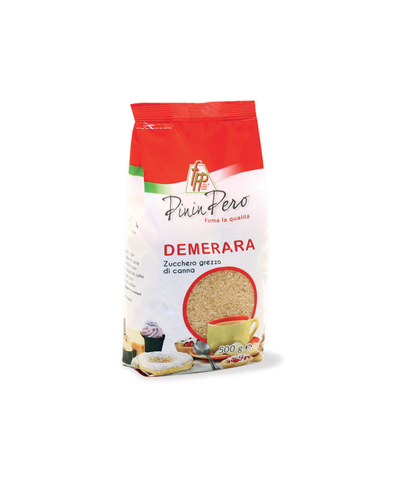 The first of these types of sugars is the kind we still know as Demerara. It was first produced in Guiana, and it takes its name from a river that flows through that region (the name Demerara has also been used to classify a special type of rum). Subsequently, following Captain Cook’s discovery of new lands in the Pacific and Indian Oceans, sugar cane cultivation was introduced on those tropical islands where the climate was most favourable: Hawaii in the northern hemisphere, near the Tropic of Cancer, and on the Islands of Mauritius and Réunion in the Southern hemisphere, at the tropic of Capricorn. 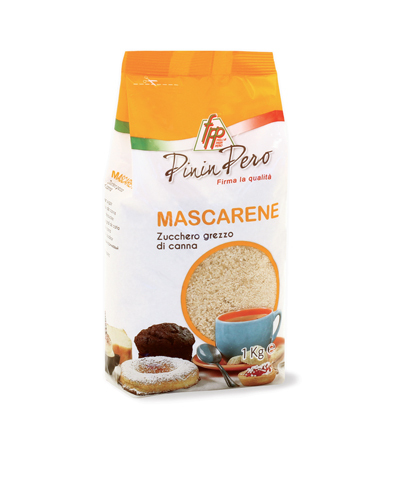 With over a century of history, Figli di Pinin Pero, one of the largest raw cane sugar importers in Europe, can offer you the best raw product from tropical countries. 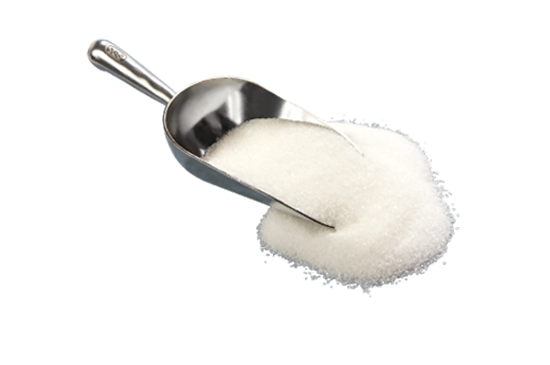 containing cane sugar are numerous, from packets to packages measured in kg. Explore them all. 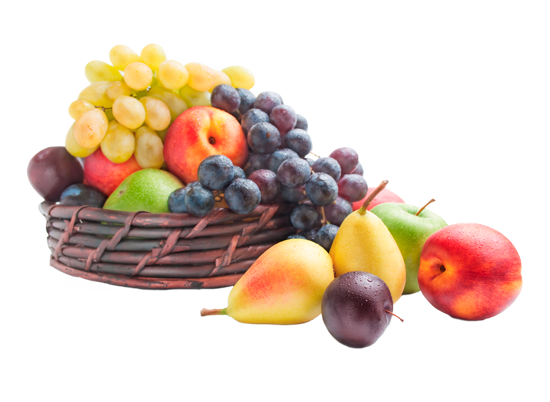 Fructose is a product that occurs naturally, chiefly in fruit. 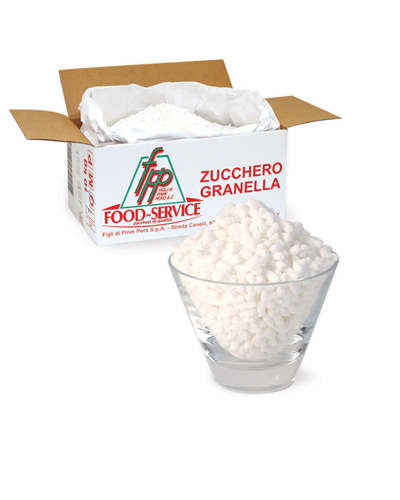 Fructose is highly soluble and has the distinctive ability to enhance tastes and aromas. 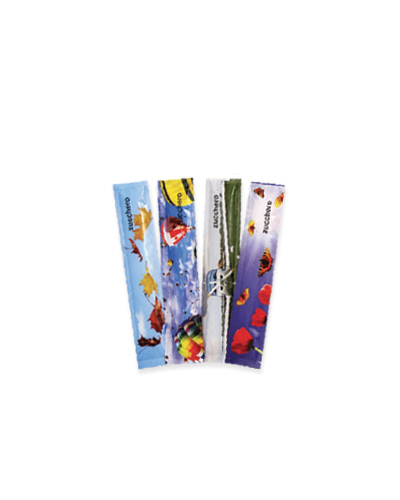 It is ideal for sweetening hot and cold beverages. Moreover, it is the best substitute for sugar (sucrose) in cases where the latter cannot be used. It has a sweetening power 30% greater than that of sugar (sucrose), which means that a smaller quantity can be used, thus decreasing calorie intake without a loss of sweetness. Fructose is a natural product. Just as sucrose is the natural sugar derived from beets and sugar cane, fructose occurs naturally in fruit, honey, and in some plants, such as onions or chicory. 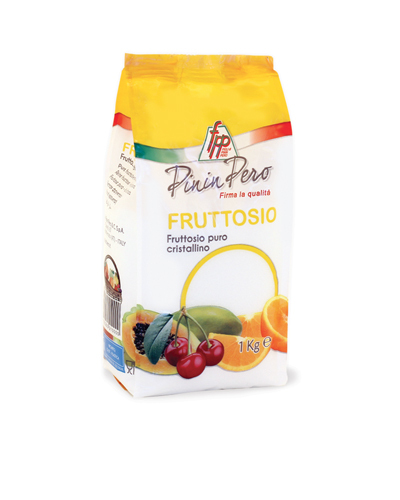 Thanks to its physical properties (solubility and anti-crystallizing properties) and its exceptional organoleptic properties (a higher sweetening power than sucrose and the power to enhance flavours and aromas), fructose is an essential component of especially sophisticated preparations. Thanks to its physical properties, fructose is also well-suited to the manufacturing of “light” products and other “diet” preparations. If you wish to substitute the sugar (sucrose) in your diet, it is best to do so with a natural product such as fructose, which occurs naturally, chiefly in fruit. With a sweetening power 30% greater than that of sugar (sucrose), a smaller quantity of fructose can be used, thus decreasing calorie intake without a loss of sweetness. Fructose is a natural carbohydrate naturally present in all living cells. Once ingested, fructose is absorbed by the digestive tract more slowly than glucose or sucrose, but much more rapidly than sorbitol, xylitol or mannitol. As a consequence, firstly, fructose is much less likely to cause diarrhoea than sugar alcohols (sorbitol, etc. ). 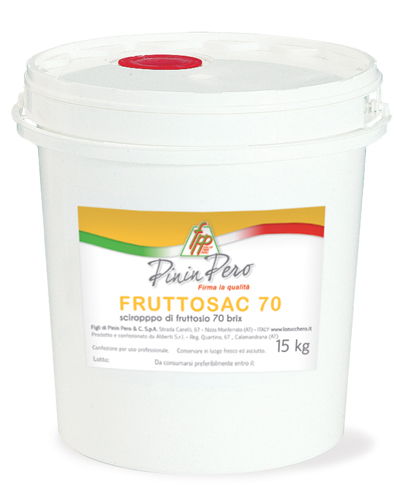 Sixty grams of fructose absorbed by an adult will not cause digestive problems. Secondly, fructose has a better absorption distribution than sucrose or glucose. Once absorbed by the digestive tract, fructose is conveyed through the veins towards the liver, where it will help to produce hepatic glycogen. This hepatic glycogen reserve is not insulin-dependent. These characteristics of fructose metabolization mean a minimal variation in blood sugar levels, in comparison with the variations observed after ingesting other sorts of sugars. Hepatic glycogen is the ideal energy reserve to fuel physical exertion. The reason for limiting sucrose and glucose in the diets of people suffering from diabetes is to prevent the sudden changes in blood sugar levels that occur after they are ingested. It has been observed that the peak in blood sugar level is lower after consuming the same amount of calories of fructose in comparison with sucrose or glucose. 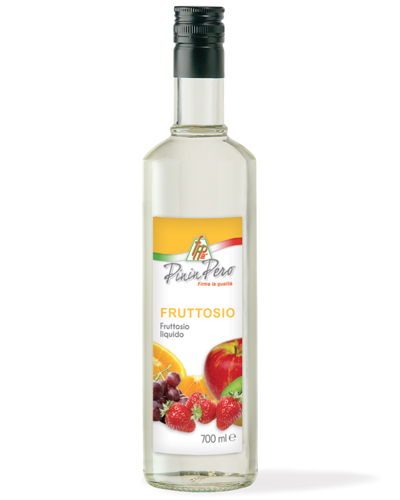 IFructose has the distinctive ability to enhance tastes and aromas. It is ideal for sweetening hot and cold beverages. Moreover, it is the best substitute for sugar (sucrose) in cases where the latter cannot be used. Like all solid sugars, fructose does not have a minimum shelf life and therefore can always be used. It is nonetheless advisable to keep the product in a dry environment, away from moisture. This prevents packing, a phenomenon which does not, however, in any way alter the product’s properties. Crystalline fructose has a cyclic structure containing 5 carbon atoms and 1 oxygen atom. There are 4 more forms of fructose in solution, depending on temperature, acidity and hardness. Unlike sucrose and glucose, which rotate the plane of polarised light clockwise (dextrorotary), fructose rotates it counter-clockwise (levorotary, which is why it is also known as LEVULOSE). Fructose is distinguished by its high solubility in water. Fructose is more soluble than common carbohydrates. The influence of temperature on solubility is the same for the fructose and sucrose. The high solubility of fructose makes it possible to transport fructose in the form of concentrated syrup at room temperature (in any case > 4° C) without it crystallising. – The possibility to store fructose syrup in unheated tanks. – Room temperature storage makes it possible to avoid the formation of droplets of moisture, sources of microbial infections. – Low storage temperature limits the development of accidental infections. – Its non-crystallization properties prevent technical problems such as blockage of fructose transportation or storage pipes. As mentioned above, the solubility of fructose varies with temperature, just as that of sucrose. Fructose is the most hygroscopic of natural sugars. – Fructose prevents preparations that contain it from drying out. 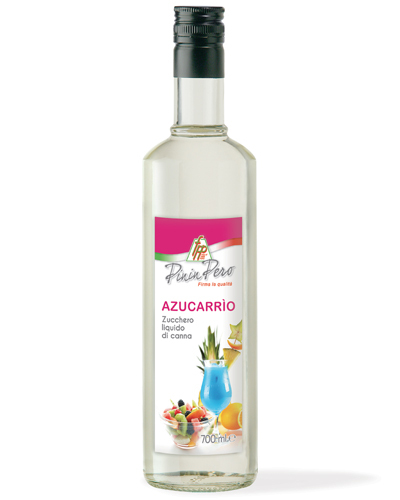 – In preparations with equal water content, the one made with fructose is better protected against fermentation and the development of moulds. This is due to fructose’s capacity to reduce the activity of the water it contains. The viscosity of fructose solutions is significantly lower than the viscosity of sucrose solutions and inverted sugars. That is why fructose syrup can be transported and handled at room temperature ( > 4°). The molecular weight of fructose is equal to half the molecular weight of sucrose. The freezing point of a solution made with fructose is much lower than that of one made with sucrose. In other words, to lower a solution’s freezing point requires two times less fructose than sucrose. However, given fructose’s higher sweetening power, it is still possible to maintain the same level of sweetness. Fructose is a ketone, unlike glucose, which is an aldehyde. The ketone group is more reactive than the aldehyde group. It is therefore important to better explain this instability of fructose. The dehydration product forms at a temperature of around 100°C. During cooking, fructose reacts more easily with protein components. Employing the proper techniques when processing and using fructose makes it possible to avoid these problems. We should also note that the fructose undergoes less browning than usual during cooking if in pH 4 acidity conditions. A product’s sweetening power depends on the conditions under which that power is measured. In other words, if the sweetening power of fructose is measured under acidic or low temperature conditions, its sweetening potential is at its highest. 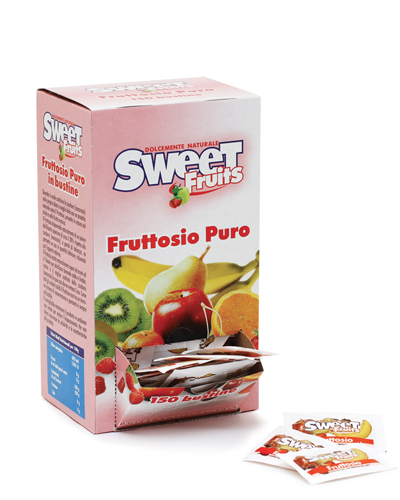 While sucrose and glucose tend to cover with their sugary flavour the true taste of the preparations in which they are used, fructose enhances products’ flavours, whether they are fruits, spices or flavourings. 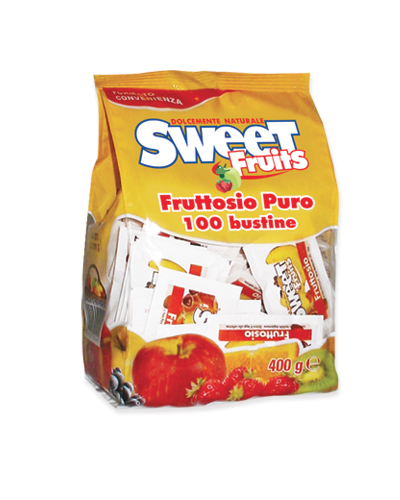 containing fructose are numerous, from packets to packages measured in kg. from packets to packages measured in kg. Explore them all. tutti. 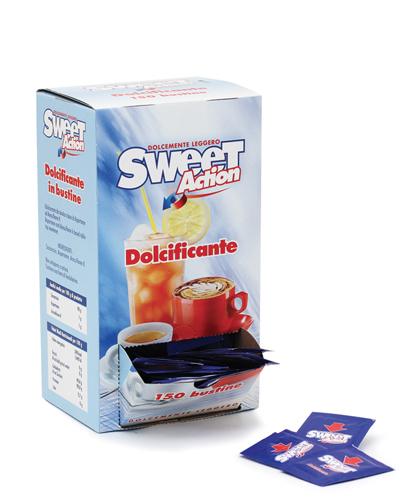 Sweeteners, or edulcorating agents, are substances used to give food products or beverages a sweet flavour. There are two categories of sweeteners: natural, like fructose, stevia, honey and cane sugar, or synthetic, which are different in terms of origin and properties. Artificial sweeteners all have the advantage of giving a sweet flavour to the foods or beverages to which they are added, without the addition of any extra calories. They are food additives used to replace sugar, whose codes range from E950 to E968 + E420 + E421. Some of the most commonly used are acesulfame K, aspartame, cyclamate and saccharin. 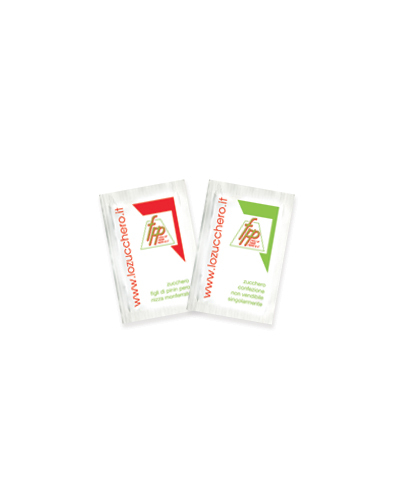 There are two categories of sugar substitutes: high-intensity sweeteners and polyols. We find them in “light”, “diet” and “sugar-free” products. They are most highly recommended for diabetics and people who have to follow hypocaloric diets. If consumed in normal quantities (no more than the Acceptable Daily Intake, or ADI, calculated in relation to body weight), they do not pose a risk, but it is better to avoid giving them to children under the age of 3. In this table, we examine sweeteners that are used as sucrose (common sugar) substitutes, their origins, their additive codes (from E950 to E968 + E420 + E421), where they are found and their effects on health. There are two categories of sugar substitutes: high-intensity sweeteners and polyols. find them in “light”, “diet” and “sugar-free” products. The useful table below shows their additive codes, followed by their names and descriptions. Approved by the FDA (Food and Drug Administration) in 1988. ADI: no more than 15 mg per kg of body weight. In Italy, the ADI is 9 mg per kg. Not shown to be carcinogenic. 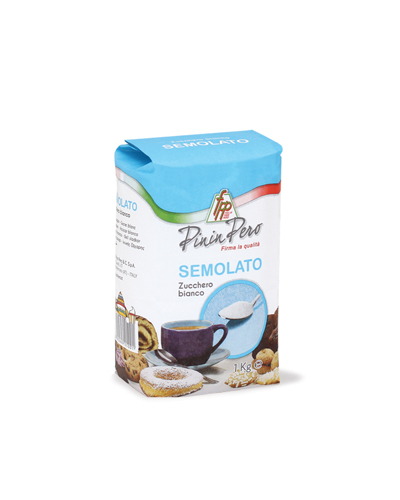 Used chiefly in preserves and jams because it is resistant to high temperatures. Approximately 200 times sweeter than sucrose, but has no caloric content, as it is not metabolised by the body. Discovered by German chemist Fahlberg. Also formerly known in Italy as “sicosina”, “sicosio”, or “sucrina”. It is not metabolised and is expelled unmodified in urine. It does not cause cavities. Sweetening power 400-500 times that of sucrose. A 1977 study recommended limiting its use, stating it was linked to a raised incidence of bladder cancer. Banned by the World Health Organization (WHO) for pregnant women and young children. Adult ADI: 5 mg per kg of body weight. Composed of two amino acids: aspartic acid and phenylalanine; the phenylalanine is esterified with methanol at its carboxyl terminus. Sweetening power approximately 200 times greater than sucrose. Like cyclamate and saccharin, it is useful for people suffering from diabetes or who wish to cut down the amount of calories in their diets. People suffering from phenylketonuria, a disorder which makes it difficult to metabolise phenylalanine, must limit their aspartame intake, as it is a source of phenylalanine. Approved for use in the European Union, it is classified with additive code E951. As the history of its approval for use in food products shows, aspartame has been the subject of numerous controversies. Several studies on laboratory animals have shown an appearance of tumours subsequent to oral consumption of this sweetener, but no study has proven a cause-effect relationship between these phenomena or been able to identify the mechanism of action of any toxicity it might have. ADI: 40 mg per kg of body weight. Some studies have shown that, in extremely high doses, it can cause allergic reactions. It is heavily used in the food industry because it does not promote tooth decay (does not cause cavities) and it intensifies fruit flavours such as lemon and orange. It is found in numerous products, even in ones where one would not suspect it to be. It is often added to low-calorie beverages or instant drink powders, like coffee, tea, and milk- or fruit-based shakes. It should be avoided when pregnant or breastfeeding and should not be given to young children. Sweetening power approximately 30 times that of sucrose. Metabolised by the liver and excreted in the urine. 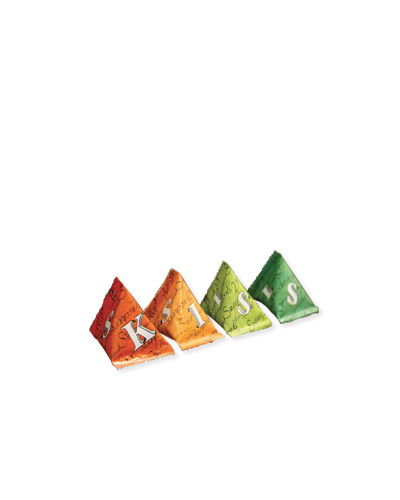 Found in non-alcoholic beverages, pill coatings and chewing gum. Recommended ADI: 11 mg per kg of body weight. A type of natural sugar found in many berries and fruits, such as apples, plums, cherries, grapes and sorb apples, from which it takes its name. Widely used in the food industry under the name of E420 as a sweetener, stabiliser and leavening agent in many “sugar-free” products such as chewing gum and candies. Ingesting sorbitol usually does not have side effects, but since it is not absorbed by the body, it can cause gas, bloating, cramps and diarrhoea (if daily intake exceeds between 5 and 20 gr, approximately). Its use is not recommended, in any case, for children younger than 1 year of age. 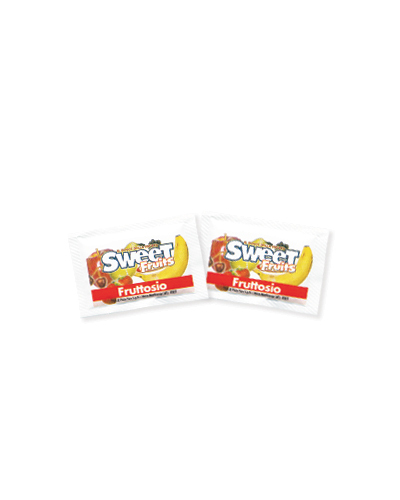 has 75% of the sweetness and approximately half as many calories (2.1 per gram) as sucrose. However, maltitol syrup has approximately 3 cal/g, and a higher glycemic index. Like all sugar alcohols, it has laxative properties, due to its slow absorption. Despite being less harmful than other sugar alcohols, it can have gastric effects, due to the fact, thanks to its similarity to sucrose, that it is heavily used by the food industry. This leads to consumers ingesting amounts that exceed the recommended quantities. It is not suitable for people who suffer from diabetes. An achiral polyhydric alcohol often called mannite. As a food additive, it is categorised as a stabiliser, thickener, gelling agent and emulsifier, but most commonly as a sweetener. It is employed in the pharmaceutical sector for its diuretic properties (it belongs to the family of osmotic diuretics). Its sweetening power is a little over half as strong as sucrose, and its caloric value is greater than half that of sucrose. It can help improve chronic constipation (10 g per day), as reported by a study conducted by the Department of Pharmacology of the University of Milan. ADI: 50 mg per kg of body weight. As it is, for all intents and purposes, a carbohydrate, it is easily dealt with by our bodies and thus poses no health risks. Derived from pure beet sugar. Suitable for people who have problems with diabetes. Also known as wood sugar, xylitol is composed of five carbon atoms which are used just as in traditional sugar. Xylitol is extracted from strawberries, birch trees, raspberries, plums and even wheat. It is imported primarily from China and is widespread thanks to the rapid growth capability of the birch tree. 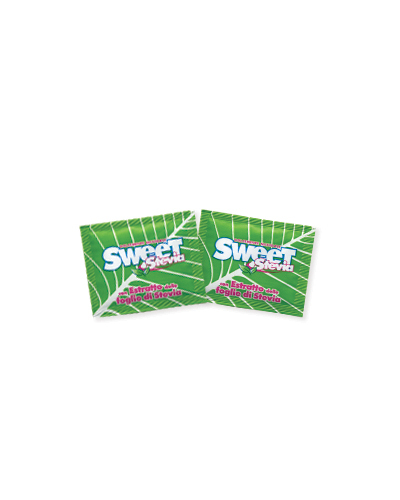 Xylitol’s sweetening power is very similar to that of sucrose, but it contains 40% fewer calories (2.4 calories per gram in xylitol, 4.0 in sugar). In Europe it is used as a food additive, especially in chewing gum. It is always advisable to consult your doctor. Until the end of the last century, only natural products, such as sugar, honey, glucose derived from starch and lactose were available for “sweetening”, all with high caloric values. In 1879, a synthetic sweetening product, saccharin, was discovered by chance. It rapidly entered into use by diabetics, as a substitute for the sugar that doctors forbade them from consuming. The numerous other sugar substitutes, natural or synthetic, are much more recent. In addition to sugar-free food products, high-intensity sweeteners and polyols can be found in many medicines (syrups, suspensions, throat lozenges) and toothpastes. The use of these substitutes is now governed by Directive EC 94/35. The European Commission has laid down the maximum levels of the different types of high-intensity sweeteners that can be used in each food product category. Sometimes labels carry those limits as opposed to the actual content. For example: the label of a sugar-free candy containing acesulfame or aspartame might read “ASPARTAME (LESS THAN 0.05%)” or “ACESULFAME (LESS THAN 0.05%). In the European Community, high-intensity sweeteners and polyols can only be used to sweeten products that do not contain sugar or that contain at least 30% fewer calories than their traditional counterparts. 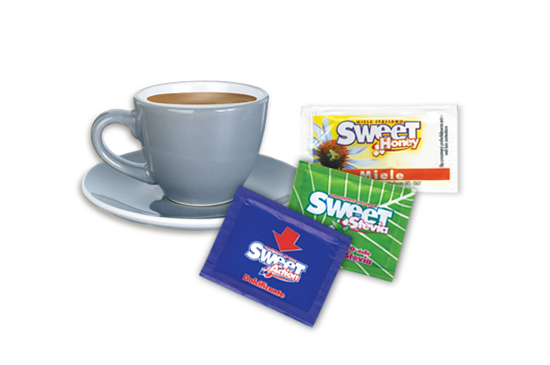 There are two categories of sweeteners: high-intensity sweeteners and polyols. 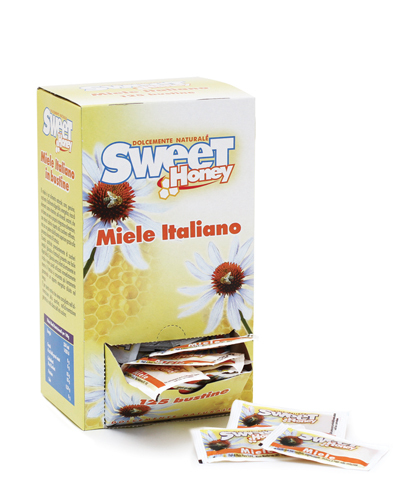 High-intensity sweeteners are substances with extremely high sweetening power. 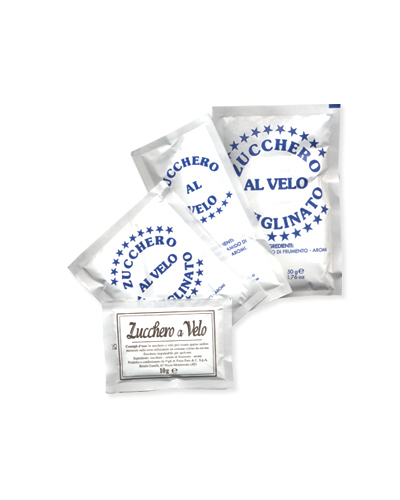 Two other high-intensity sweeteners approved for use in European Community countries, but which are hardly ever used in Italy, are neohesperidin DC and thaumatin. 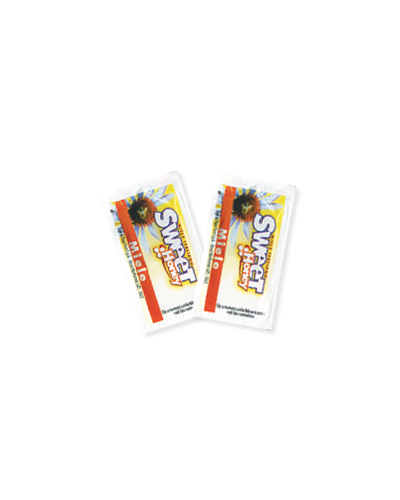 High-intensity sweeteners can be found in so-called “table-top sweeteners” (tablets, packets, powders or drops), and in most so-called “sugar-free”, “light” or “diet” products: chewing gum, candies, non-alcoholic beverages, yoghurt, jam, etc. Their caloric value is almost zero. Only tiny quantities are needed to substitute for sucrose. Daily intake: As is true for the majority of food additives, excessive quantities can be harmful to the body. It is best not to exceed the Acceptable Daily Intake (ADI), meaning the quantity that can be consumed based on body weight. Example 1: a woman weighing 50 kg who ingests 10 packets of aspartame or cyclamate every day would only have consumed 5 to 12% of her ADI. If those packets contained saccharin, they would constitute 50% of her ADI. Example 2: for a child weighing 25 kg, the ADI is halved. Thus a half-litre of a light non-alcoholic beverage (3 glasses) would constitute 70% of his/her ADI. The light non-alcoholic beverages available on the market contain acesulfame, cyclamate, aspartame and saccharin, either alone or in combination. In addition to the artificial sweeteners ingested in our diets, we must also take into account the ingestion of sugar-free medicines such as throat lozenges, syrups and suspensions, in which sugar has often been substituted so as to prevent them from promoting tooth decay. From these calculations, we can deduce that an adult only risks exceeding the ADI (Acceptable Daily Intake) if that person ingests different categories of foodstuffs every day which all contain the same sweetener or, otherwise, large quantities of a single foodstuff. This hypothetical risk becomes higher in the case of individuals who consume beverages containing these sweeteners as opposed to candies or chewing gum (because of the larger amounts consumed with each ingestion event). Conclusion: people who wish to use sugar-free products on a regular basis should pay attention to labels and, if possible, not use the same table-top sweetener that is contained in the yoghurt or candies that they habitually consume. To occasionally reach the ADI for a food additive does not pose a health risk. Polyols, sometimes called polyhydric alcohols and sometimes called sugar alcohols, are “replacement” or “bulk” sweetening agents. They are found in sugar-free chewing gum and candies. In Italy, the categories of food products that contain high-intensity sweeteners and/or polyols are: confectionery products (chewing gum and candies), non-alcoholic beverages, yoghurt, jam, biscuits and table-top sweeteners. Polyols have a mid-range sweetening power, similar to that of sucrose. Products that contain polyols are not calorie-free like those that contain high-intensity sweeteners. However, polyols have the advantage, unlike high-intensity sweeteners, of acting as a texturizers. A sugar-free candy or piece of chewing gum contains 30 – 50% fewer calories than the same product made with sugar. It is best to avoid using sugar-free products containing table-top sweeteners until the age of at least three. However, both table-top sweeteners and sugar-free products should be avoided or at least limited unless a dietician recommends otherwise. It is best to avoid using sweeteners during pregnancy. 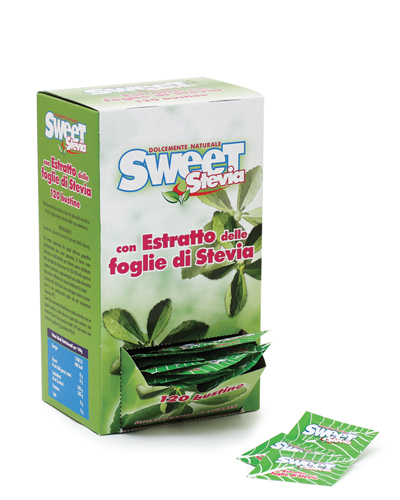 It is preferable to avoid products containing high-intensity sweeteners in favour of a limited consumption of sugar-free products containing polyols (some candies, chewing gum and baked goods). 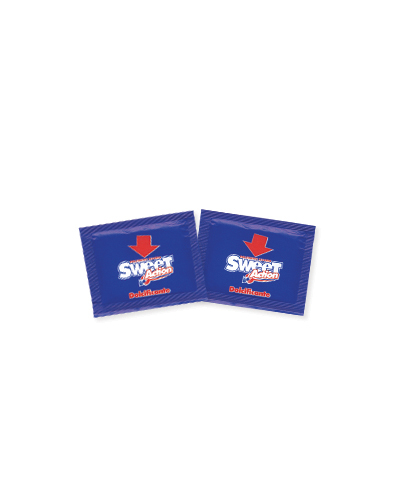 containing sweeteners are numerous, from packets to packages measured in kg. Explore them all.